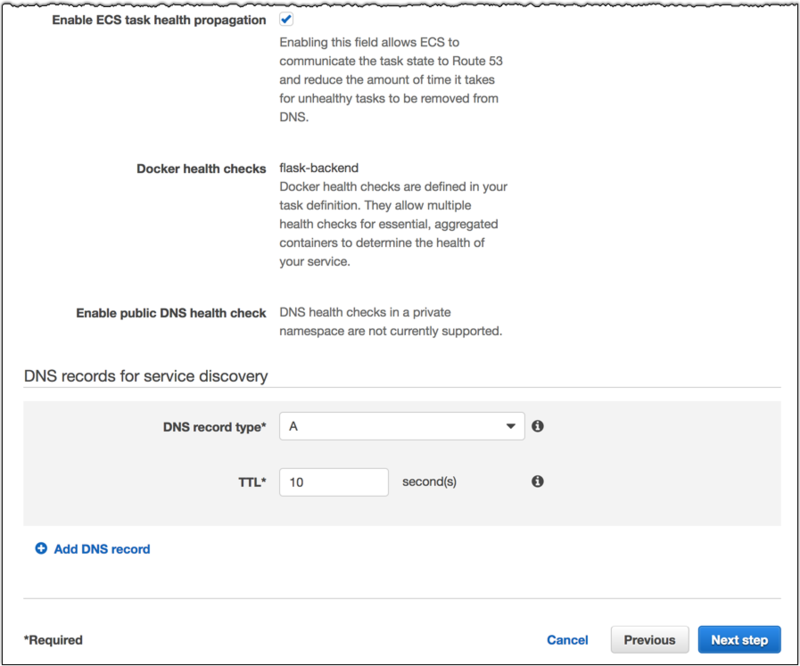 Amazon ECS service discovery is available now in US East (N. Virginia), US East (Ohio), US West (Oregon), and Europe (Ireland). 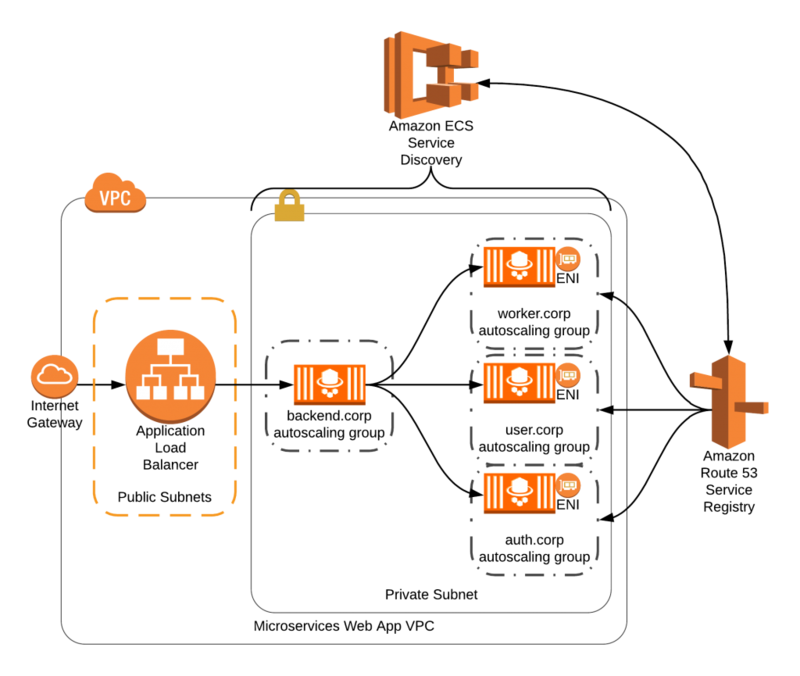 AWS Fargate is currently only available in US East (N. Virginia). 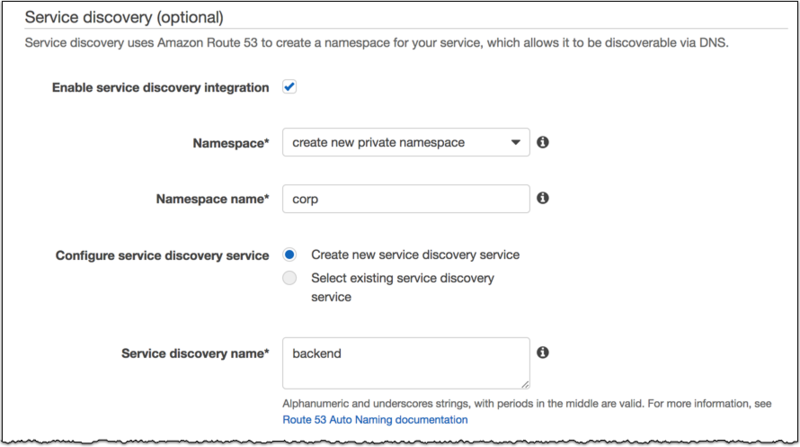 When you use ECS service discovery, you pay for the Route 53 resources that you consume, including each namespace that you create, and for the lookup queries your services make. Container level health checks are provided at no cost. 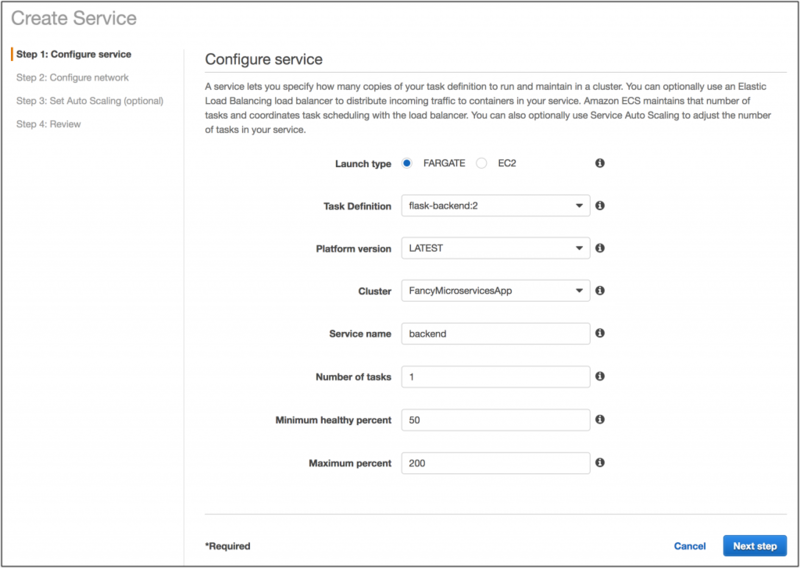 For more information on pricing check out the documentation.